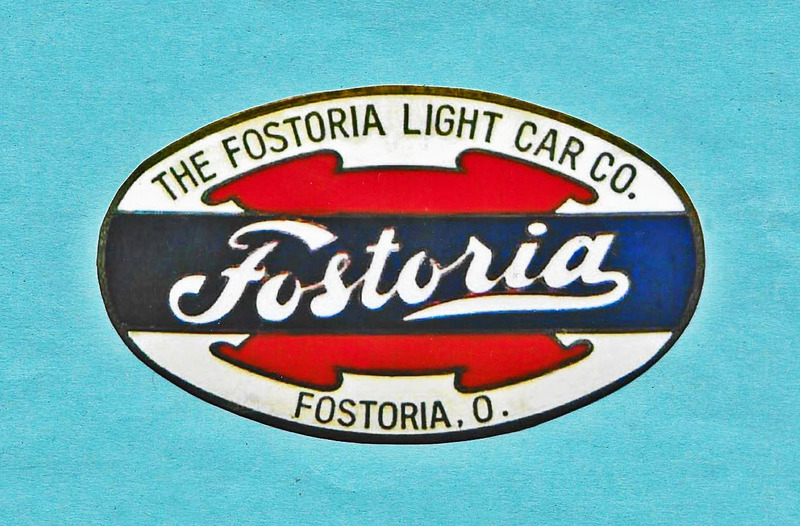 The Fostoria Light Car Company was established in mid-1915. The Fostoria was a 17 hp four-cylinder assembled car offered in touring, roadster, speedster and coupe body styles. It is reported in the Standard Catalog that the engines bought for the Fostoria were faulty and, after producing 293 cars, it was decided in September 1916 to withdraw the Fostoria from the market due to the damage to its reputation. 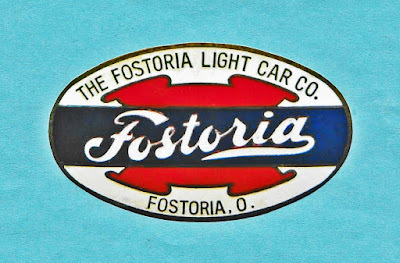 By December 1916, the Fostoria had a new engine and a new name. It was now called the Seneca. The red, white and blue enamel Fostoria radiator emblem shown above came from an emblem collection put together in the 1920's and 1930's, and is extremely rare. 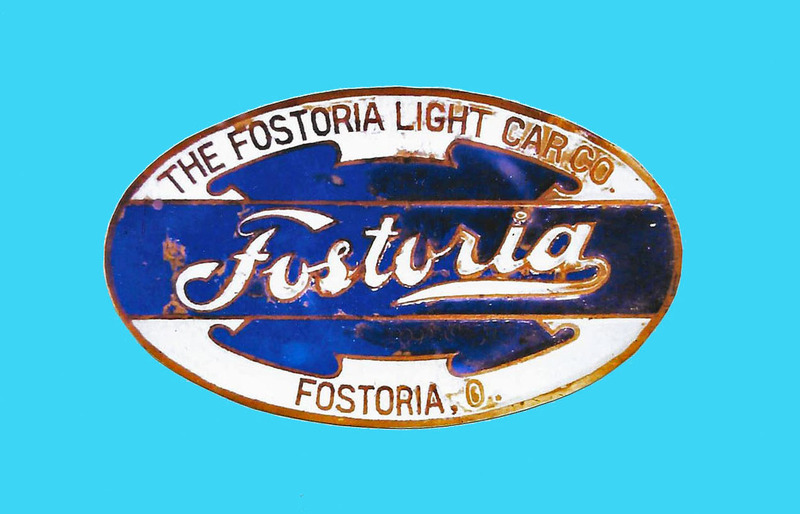 Possibly there was a color variation in the radiator emblem for certain Fostoria car models.